No 20 proudly presents ECHOES a solo exhibition by Ian Emes – the Pink Floyd animator – that explores a body of work spanning over four decades including handdrawn animation artwork produced in the 70s and 80s, personal drawings and paintings from then until now, and a multi-screen contemporary installation. The exhibition begins in 1972, the year when Emes’ ground-breaking experimental film French Windows - a vision of his own kaleidoscopic universe in fantastic motion where bodies twirl, dance and drift through vortices of geometric shapes and abstract forms – brought him to the attention of Pink Floyd, who commissioned him to create the visuals for what would become one of the greatest albums of all time: The Dark Side of the Moon. The coming decades would bring further collaborations with some of the music scene’s biggest names such as Mike Oldfield (Tubular Bells, 1973), Linda and Paul McCartney (Oriental Nightfish, 1978), and Duran Duran (The Chauffer, 1984). 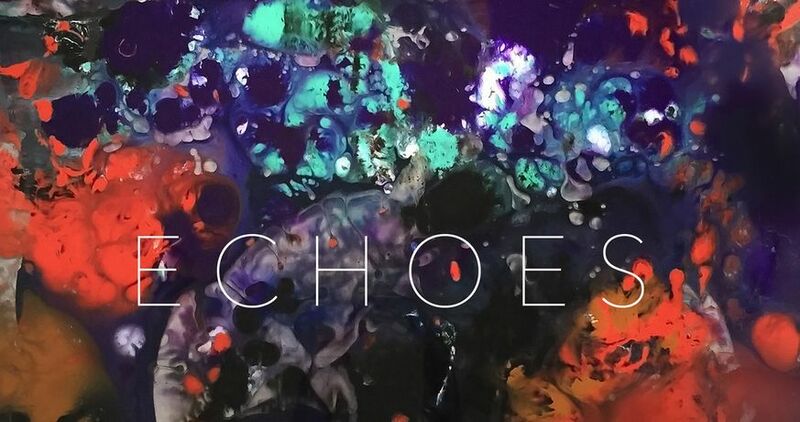 ECHOES is an immersion into Emes’ life-long fascination with the fluid relationship between music and the moving image, controlled synchronization and fortuitous coincidence, his stream-of-consciousness approach to imagining and the meticulous process that follows. The body of work presented in ECHOES provides us with an opportunity to re-live the anarchic spirit enabled by an affluent British society in the 70s, when a free-to-all education enabled the youth to defy the very institutions that paid for it alongside any pre-conceived concept or idea. By restoring, archiving, revisiting and re-inventing the works of a by-gone era using a new, more frenetic language and new technologies, Ian Emes strives to get back in touch with the power of simplicity, to be brave enough to tumble in slow motion, to freeze and remain still, regardless of impatient young eyes ever-craving for new images. Archive footage and original animation cells will be on display, including a recently discovered rare animation of Pink Floyd’s Echoes and previously unseen footage from The Dark Side of the Moon. New works will include dream-based paintings and a multi-screen installation that explores arbitrary rhythms between music and moving forms. ECHOES is a unique opportunity for the audience to experience the full breadth of Emes’ artistic output, an invitation into the macrocosm of Emes, where figures in the space, perpetual motion and geometric environments intertwine freely and the unexpected is celebrated. Ian Emes (b. 1949) is a British artist and film director. He began his career as a painter, sculptor and then, animator. Known for using innovative and experimental film techniques, Ian Emes became Pink Floyd’s original animator. His animations have featured in major exhibitions, including Pink Floyd: Their Mortal Remains at the V&A (2017) and the National Film Theatre Retrospective (1980). In addition to Pink Floyd concerts his works have been used in numerous live music tours such as Mike Oldfield’s Tubular Bells Tour (1978), David Gimour’s Live at Pompeii (2016), Roger Waters’ The Wall - Berlin (1990) and Us + Them World Tour (2017 -18). He is the winner of three BAFTA Awards (1994, 2009, 2011), a Palme d’Or (1979), a British Animation Award (2014), and is an Emmy Award (2017) and Oscar Academy Award (1984) nominee.